Leased through Sept 2019! 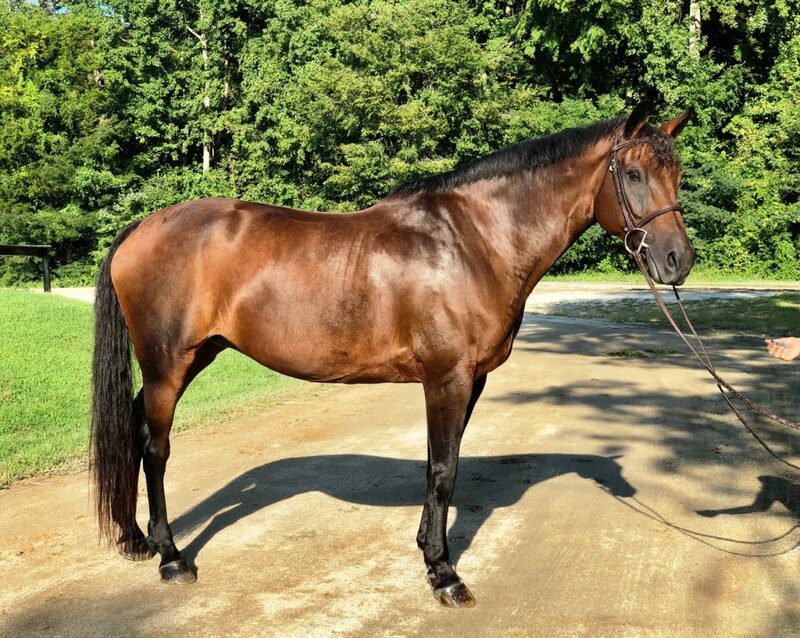 “BeDazzled” is a 2003, 16.3hh mare by Bodyguard and out of Tranemosegards Rain check. A stunning mare with a beautiful topline, long neck, feminine head and big soft eyes. Child and adult friendly, jumps around with an easy lead change. Dazzle is well trained on the flat with a soft, supple mouth. She has tons of C rated miles in the Pre Childrens, Childrens, and Adults. Dazzle was Reserve Champion in the Pre Childrens at the NCHJA Annual Show in 2015. In July of 2016 she was consistently in the ribbons in the Adult Hunter’s at the Charleston Summer Class AA show and was 4th in the Adult Classic. Great for a child or adult needing confidence!